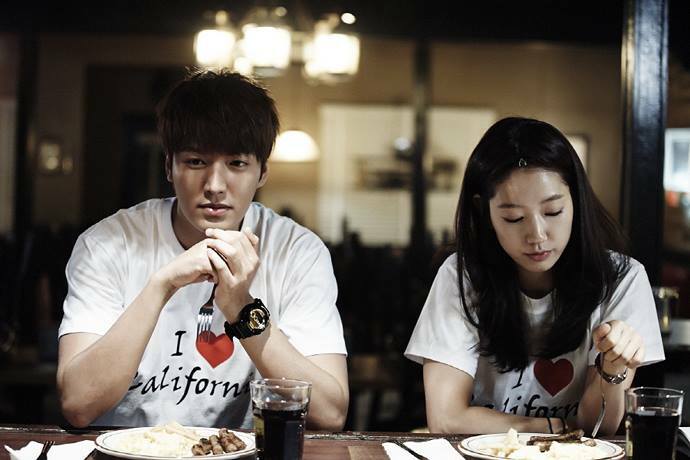 Costars Lee Min Ho and Park Shin Hye are generating buzz among drama viewers with their cute couple tees! 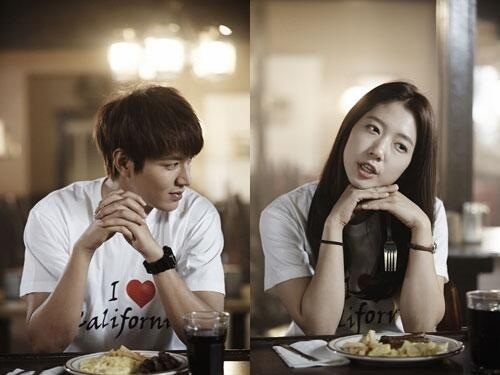 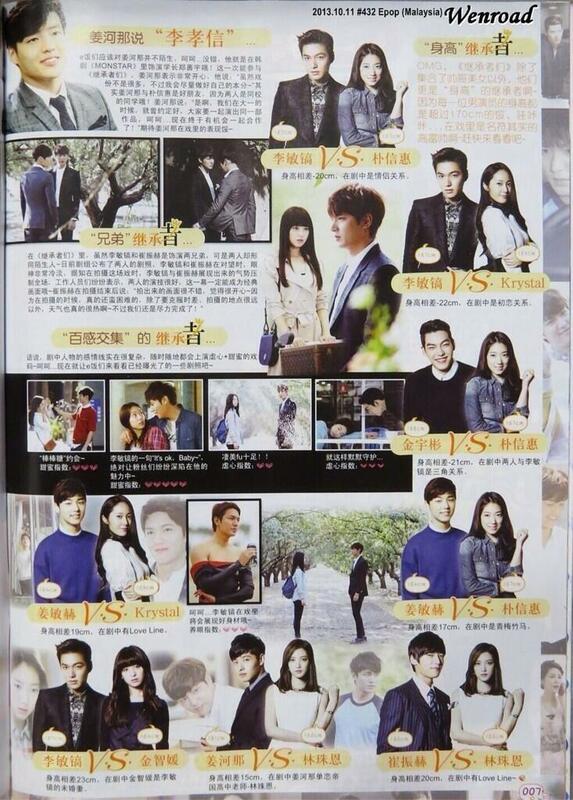 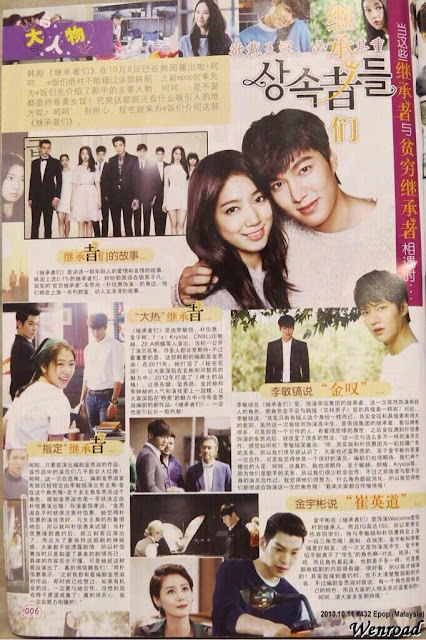 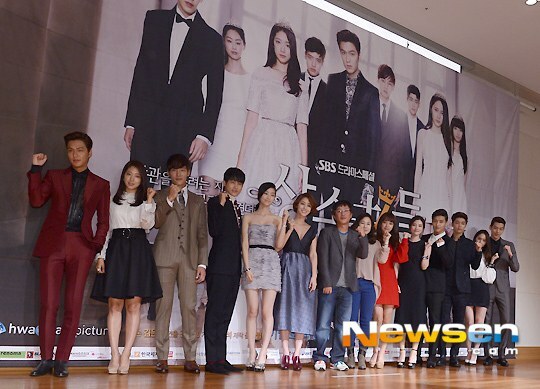 Featured in the news today are new stills from SBS drama Heirs, which were taken on the 10th of September during the drama's California filming. 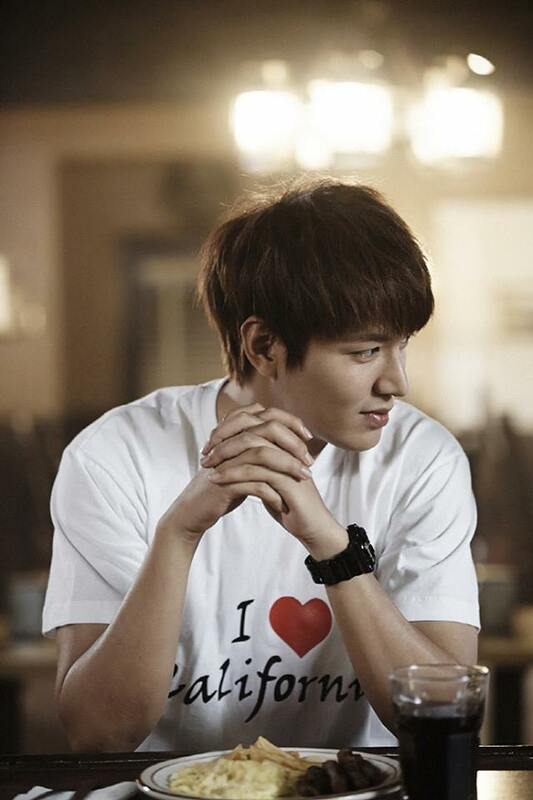 In the cuts released, the two stars don matching t-shirts like a couple and share intense eye contact as Kim Tan (Lee Min Ho) leans over Cha Eun Sang (Park Shin Hye). 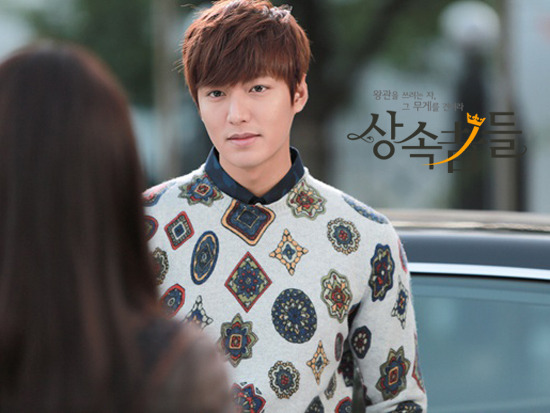 The two have only just met so far in the story, but it seems Kim Tan is already falling for Chan Eun Sang. 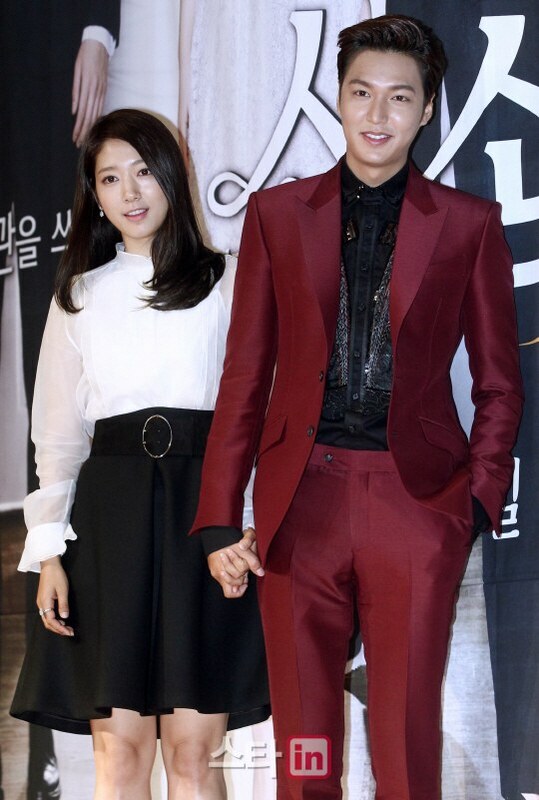 A rep commented, "Please look forward to Lee Min Ho and Park Shin Hye's love line which will make your heart pitapat just from watching them." 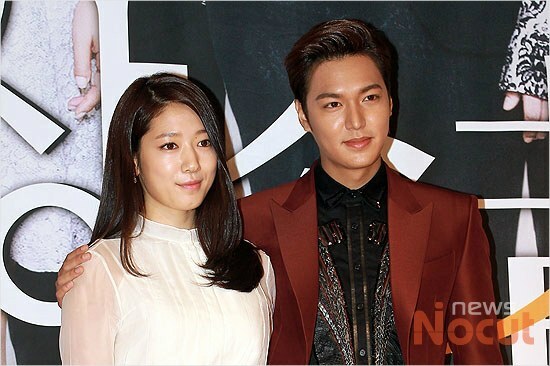 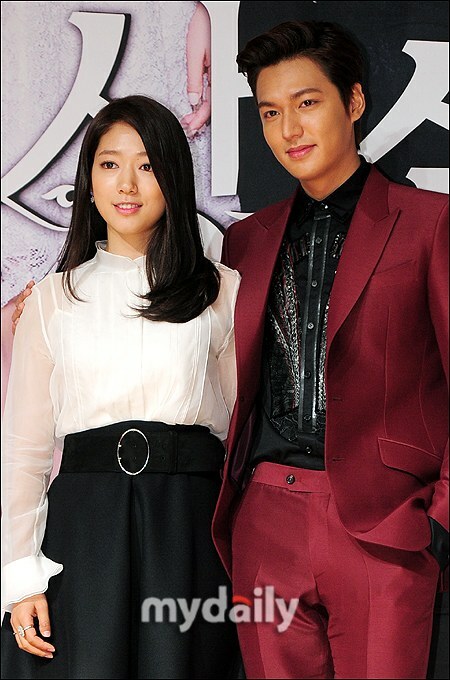 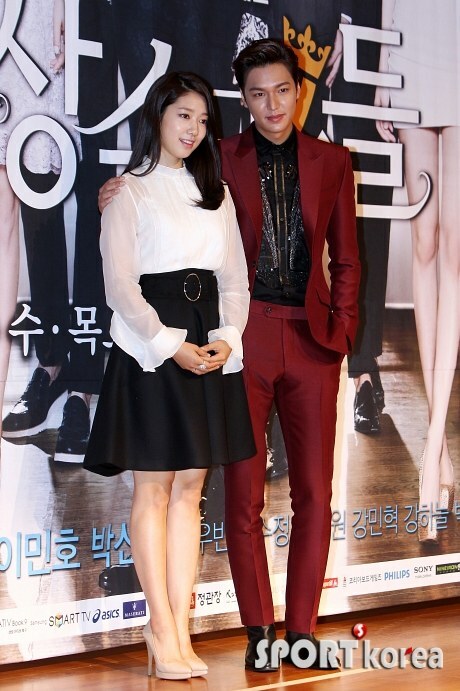 Catch more of Lee Min Ho and Park Shin Hye on 'Heirs' every Wednesday and Thursday! 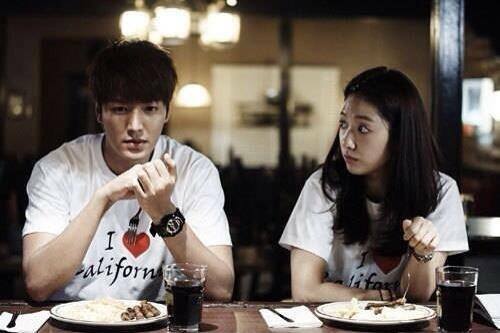 Our present for Shin Hye appeared in The Inheritors! 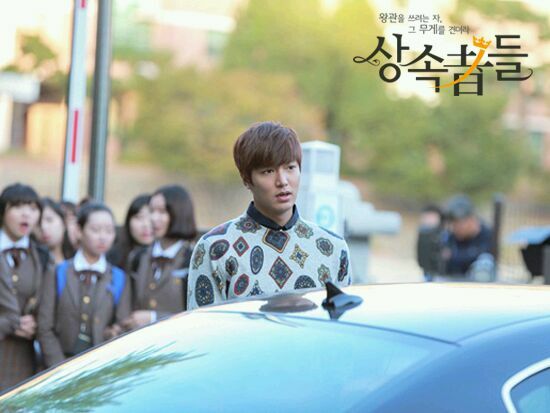 Look where our shoes turned up! 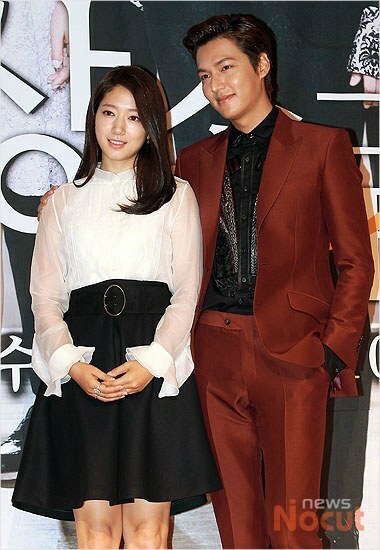 We at PSHIFC had the biggest surprise today when re-watching Ep.2 of The Inheritors in - we found out that Shin Hye is wearing the shoes we gave her in the drama! 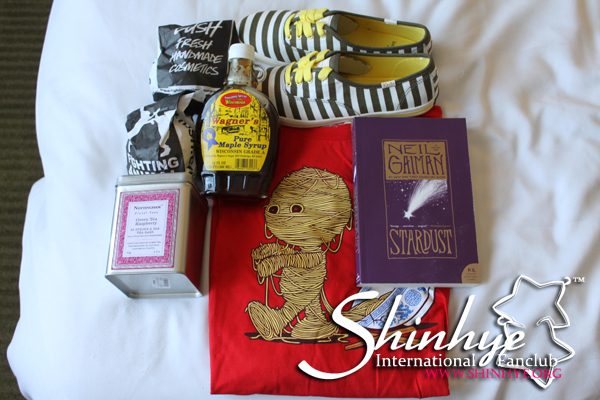 Last month, our admins visited Shin Hye on set of the Inheritors filming in California, USA and we gave her some presents on behalf of international fans including the special edition Kate Spade x Keds striped canvas shoes. 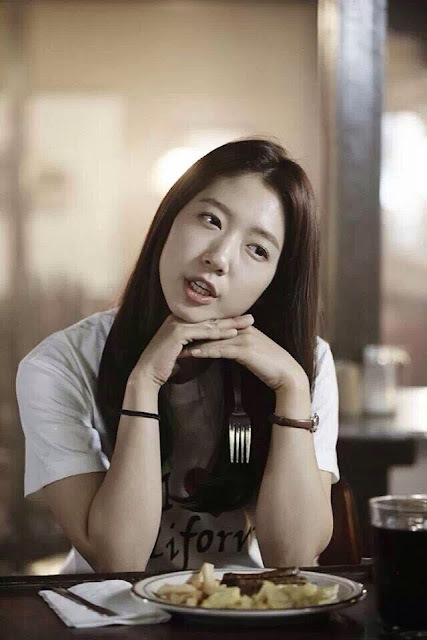 Shin Hye was really happy when she received the shoes from us and commented that they looked very cute. 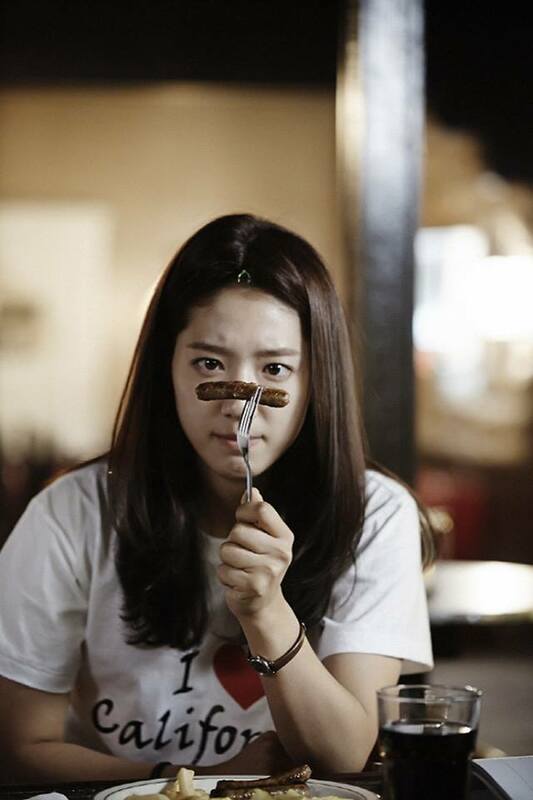 Thank you Shin Hye for loving the presents! 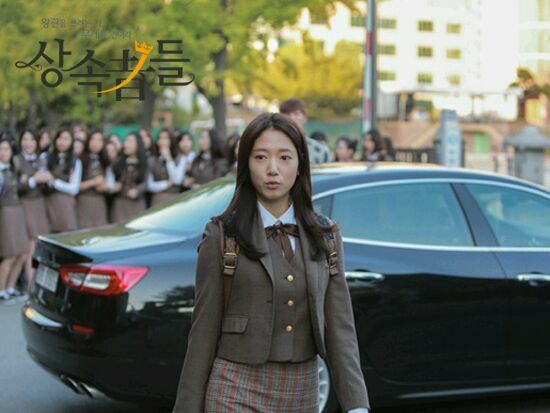 Cha Eun Sang fighting!! 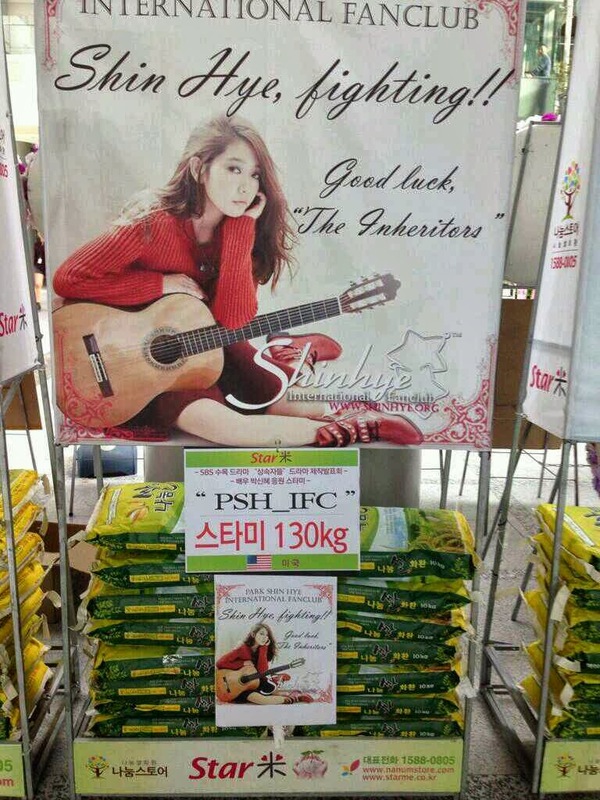 A great success to our Rice Wreath project in collaboration with Park Shin Hye's official Korean FC. All Park Shin Hye FCs donated 2420 kgs of rice bags to Korean Food for the Hungry International. 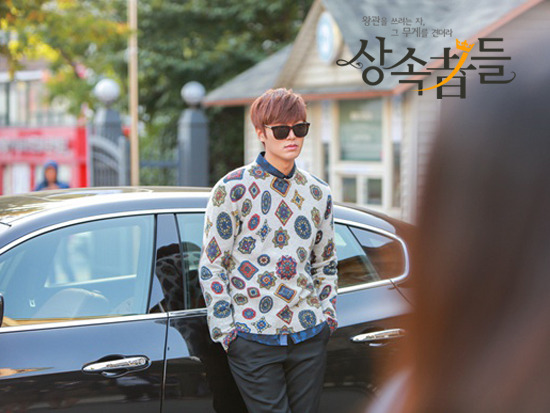 We donated a total of 130kg worth of rice. 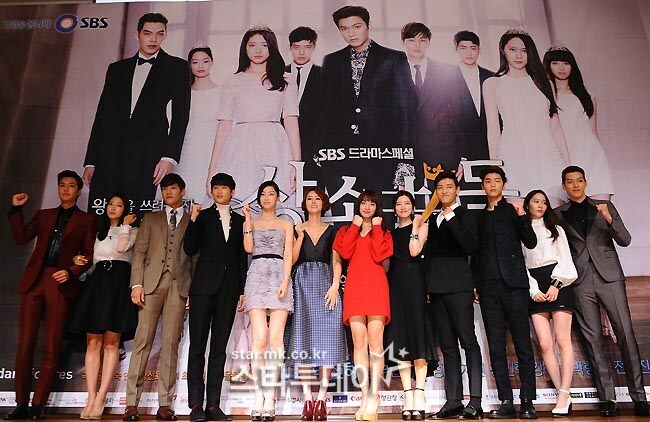 That totals to 13 bags! 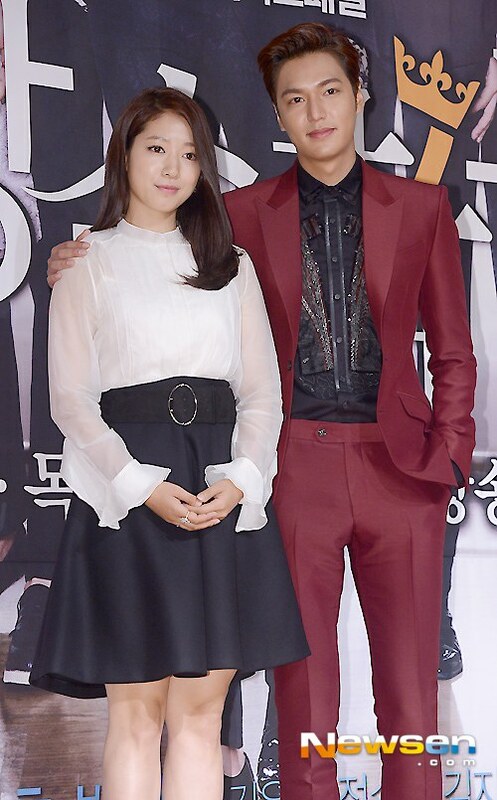 Thank you so much for the donation and support you have given us for our Rice Wreath Project for Shin Hye and The Inheritors' Press Conference! 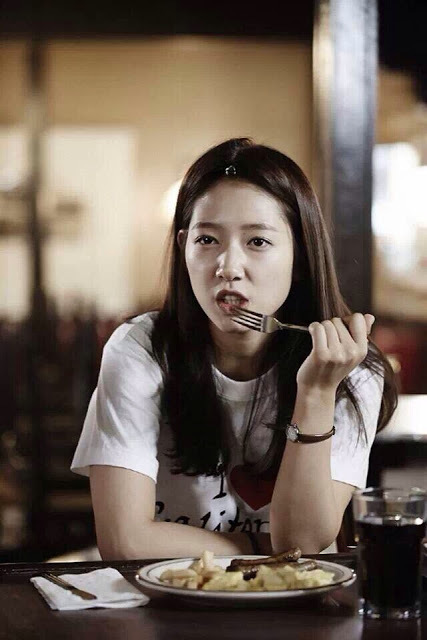 We hope you will be able to join us in our future projects. 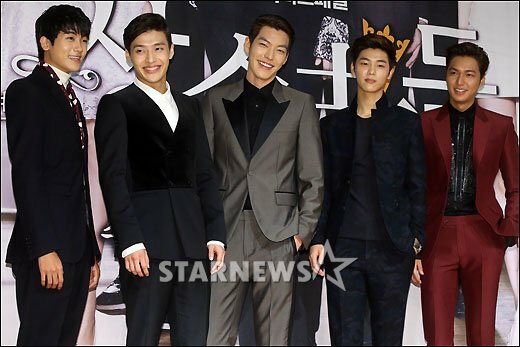 Please stay tuned for the next exciting project we have lined up. 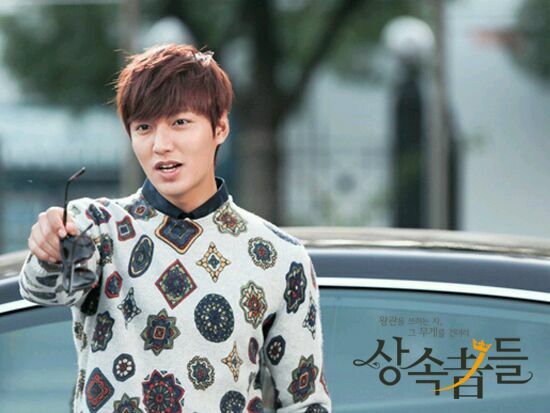 Until then thank you very much! 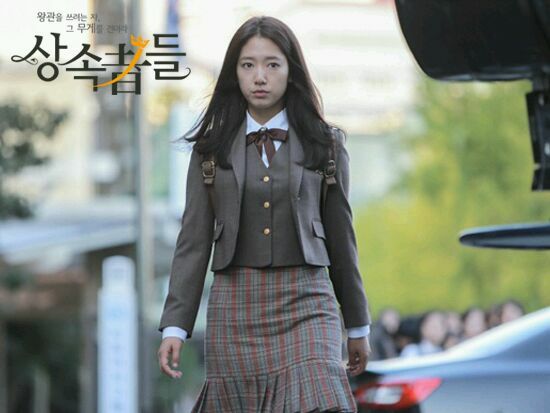 Fighting!